This website is not associated with the government, and our service is not approved by the government or your lender. Yes. I also want to speak to a Bankruptcy Attorney about protecting my home. We value your privacy and look forward to helping you find a solution to your mortgage needs. By clicking submit you agree to be contacted by HomeReliefProgram.com partners via email or the telephone number provided. Contact may be made via automatic dialing system, text or pre-recorded message. No purchase required. Clicking submit is not required, you may call 1-877-494-9007 for live help. 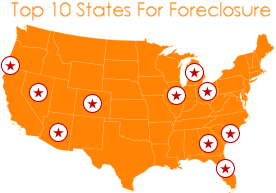 Because You Are Currently Facing Foreclosure We Recommend Calling 1-800-315-6440 Immediately - Saving Your Home From Foreclosure Is A Very Time Sensitive Matter. Please Call Now!